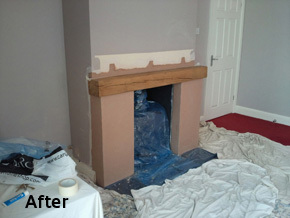 Here you will find reviews from our customers who we have completed plastering jobs for. Please don't hesitate to contact us to receive the same quality service. Dear Leon, just a quick note to say thanks for the work you have done recently at home, a great job again, especially the centre alcove which look fantastic. Thanks again. I have used Alpha Plastering for over 15 years in two period properties and have always been delighted with the quality of their work. Leon and James are hardworking, trustworthy and efficient, and Leon can always offer valuable professional advice based on his long experience. Alpha Plastering set themselves very high standards and are always extremely professional in every aspect of their work. 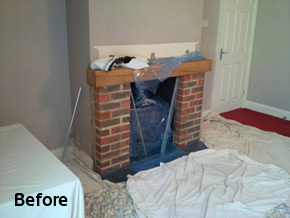 Quoted on Thursday and job completed the very next day. Competitively priced and great workmanship. Very friendly, would not hesitate to recommend. Excellent experience with this trade man, Leon priced the job very competitively, next day 7.30am on the job as promised. He plasterboarded and plastered a large hole in the dining room, ceiling and artexed to match the existing artex. Nice clean job, conducted in a friendly atmosphere. I have no problem using Leon again.